In Mexico, the Yucatán Peninsula's Caribbean Coast stretches from Cancún to the border of Belize. 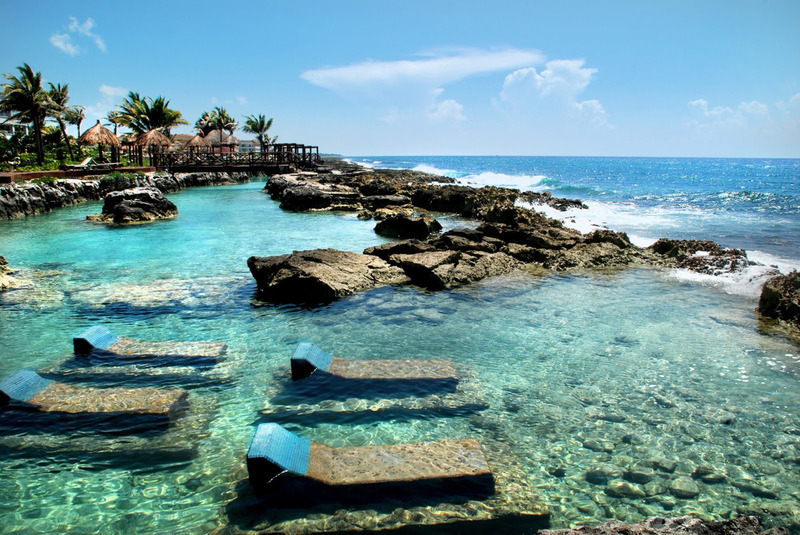 The 80-mile slice from Tulum to the Punta Allen peninsula is known as the Riviera Maya. Here, travel is all about the turquoise sea that laps at spits of powder-find sand, but you'd be remiss not to set aside time to explore the ancient remnants of the region's Mayan civilizations, too.Traveling in the Riviera Maya is a chance to experience a true Mexican paradise. Be it the sapphire waves, powdery white shores or ancient ruins buried in the lush jungle, every square inch of the some 80 miles between Cancun and Tulum exudes an excuse to ooh and aah. In Cancun, you’ll find much more than a spring break destination — there are sophisticated restaurants and nightlife that could rival those in more urban locales. And if all that’s in plain sight isn’t enough to make you feel you've walked into a living postcard, there's its underwater counterpart, where what awaits below the surface is just as jaw-dropping.